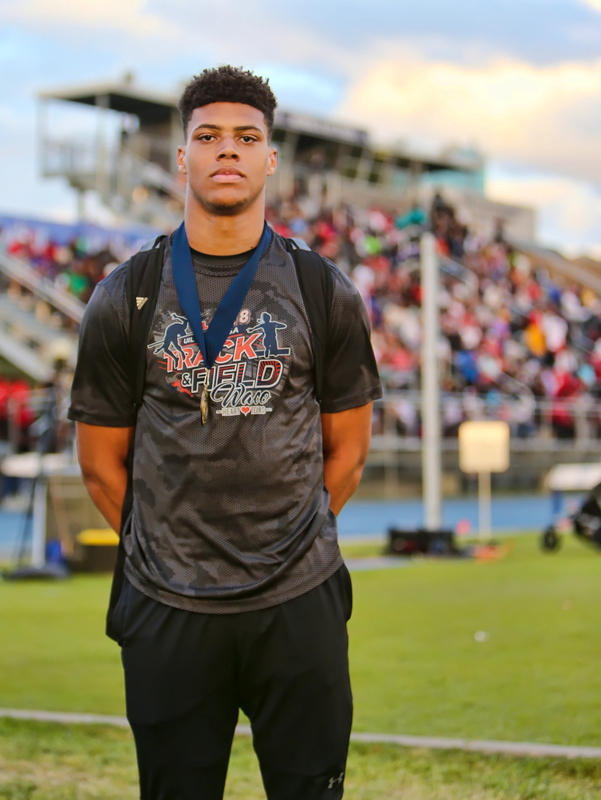 Spring High School senior Treyvon Mays, a Texas State commit and #22 ranked 110m hurdler in the nation, made a case for having his name moved up at the Victor Lopez Classic Rice Relays when he recorded a nation’s best 14.01 second time in the event. But the crazy thing about it, you can tell by the run it wasn’t even his best. The Defender spoke with Mays after the Rice Relays about his performance, ways to improve and what he intends to bring to Texas State. Defender: How would you describe your style as a hurdler? Mays:I’m a long strider that gets through the hurdles with each step I take. With my height, instead of going over the hurdle I go straight at it and attack it. Defender: Talk to us about what led to that nation’s best 14.01 performance? Mays:Focusing on keeping my arms tight and being as big as I am, fighting and pushing through the wind with the speed. Defender: After taking home gold at Rice, what are the lessons learned to improve upon knowing the Texas relays are only a week away? Mays:There are a lot of ways I believe I can improve on the 14.01. I would love to run a 13 and I think the ways I can improve is staying looser, keep working on form and the little stuff like critiques. Defender: What will it take to capture that state title at seasons end? Mays:It will definitely take at least a 13. Hopefully I can get it next week. It will take a lot of work and hard practice. Defender: What should they be looking out for at Texas State when you arrive? Mays:When I get there I am ready to PR (“personal record”) and progress at the collegiate level by putting up faster times and working with my team to put up point for the team.